You know I make cards right? And I aspire to scrapbook but I haven't started yet! 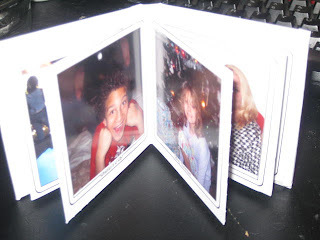 ZoomAlbum is a way for me to "scrapbook" without technically scrapbooking! 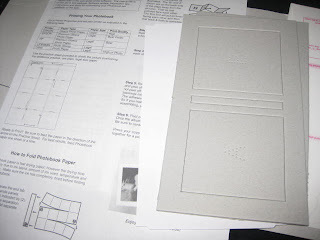 I have seen these even before I started doing reviews here on my blog, on the many papercrafting blogs that I subscribe to. So you can say that I have always wanted to make some of these albums! When you first install the program from the CD (which is included with your kit), you'll see the above screen. The startup screen guides you through making your ZoomAlbum and if you need help, you can click on "Show me how". Screenshot of "Show Me How"
It's very easy to make your album - all you do is select your photos and drag them into the position where you'd like them in the album, adjust their placement on the page, and add text if you like (which I did!) You also get to choose a photo as the album cover. This is the screen you'll see while you're making your album. All in all, the process for making a ZoomAlbum is very quick. It took a total of about 30 minutes from the time I started designing my album, to the finished result, and the majority of this time was to ensure the ink was dry and wouldn't smear. I love ZoomAlbum even more now and will be making more to give as little gifts for any occasion! One lucky winner will win a ZoomAlbum kit! 4. Tweet about this giveaway and come back and leave me a link. 5. Add my "Holiday Hoopla" button to your blog and leave me a link where you put it. 7. Blog about this giveaway and leave me a link to where you posted. Fine print: Giveaway will end at midnight EST on 12/15/09. Winner will be announced here at A Simple Kinda Life and will be emailed. Winner will have 48 hours to respond to the email or they will forfeit their prize. Thanks for entering, and Good Luck!!! I would like to make a vacation album. 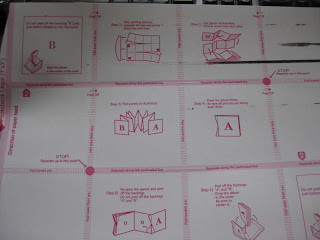 I love to scrabbook. 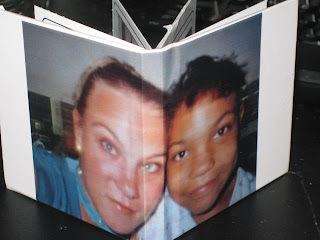 I would probably make a "grandchildren" album for my mother who lives in another state! She would love it! Add my "A Simple Kinda Life" button to your blog. Leave a link where you put it. Follow me on Twitter (@pricousins) and come back and tell me your username.